A superb cast and some smart writing paper over the flaws in Aparnaa Singh’s debut movie. Debutant director Aparnaa Singh’s Irada deftly mixes fiction and fantasy. The plot is said to have been drawn from real events – the pollution of ground water by a chemical manufacturer with the blessings of a state’s ruling party. The fictional response to these events, however, hews closer to Hollywood films about righteous citizens turning detectives and vigilantes against powerful corporations, among them Erin Brockovich, A Class Action and Edge of Darkness. Set in Punjab, Irada advocates solutions that ordinary viewers will be hard-pressed to replicate, but its concerns are timely, its character sketches memorable, and its empathy unmistakable. 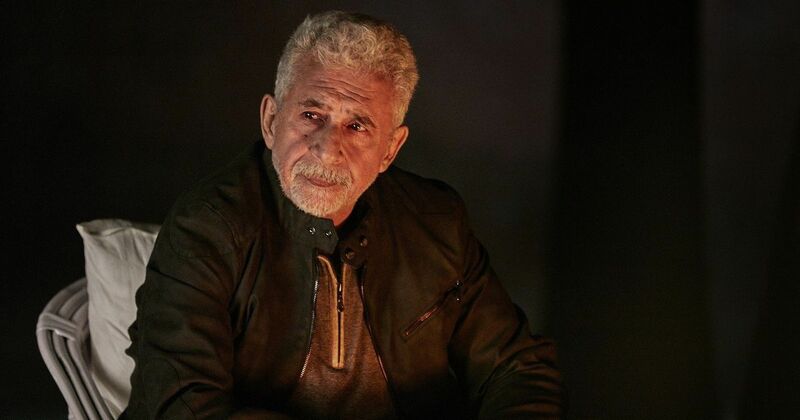 Topping the sparkling cast is Naseeruddin Shah in one of his most relaxed recent performances. Shah plays Parabjeet, a decorated retired soldier who wants his daughter to become a fighter pilot. Parabjeet puts Riya (Rumana Molla) through a punishing schedule of morning runs and long swims, but tragedy strikes in the form of a cancer diagnosis. The water that Riya has been gulping day after day is killing her, and her repentant father sets out to investigate. Parabjeet eventually runs into Arjun (Arshad Warsi), a National Investigation Agency officer who has arrived in town to investigate a massive blast that has destroyed the polluting chemical factory run by the malevolent Paddy (Sharad Kelkar). Paddy and the state’s chief minister Ramandeep (Divya Dutta) are twinned by rapacity. One flushes out his factory’s toxins into the ground water, while the other ignores the problem in return for political funds. An activist who tried to blow the whistle has been killed, and his girlfriend Maya (Sagarika Ghatge) is getting nowhere with her campaign to expose Paddy. The blast at Paddy’s plant holds out the promise of a promotion and a possible stint at the Prime Minister’s Office for Arjun. All he has to do is follow Ramandeep’s tart orders – file a report that exonerates Paddy and hang the blame on an employee who has killed himself. Arjun’s curiosity eventually leads him to Parabjeet, and a friendship develops between the two men. Singh’s fondness for her characters cuts both ways. Irada is an old-fashioned conspiracy thriller in which the righteous are justified in their actions, however unlawful they may be, and the evildoers are just the right shade of black. Sharad Kelkar is perfectly cast as the dapper businessman whose empire is built on corpses, while Divya Dutta is a doozy as the imperious head of state whose wickedness is more far-reaching than Paddy’s corruption. Warsi turns out a charming and relaxed performance even when Arjun is up to no good. 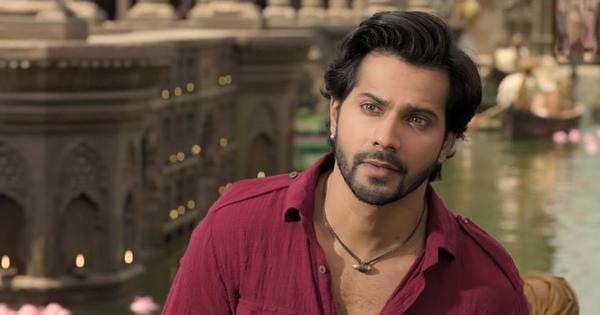 As the 109-minute narrative wears on and the need to add contrivances to reach for an uplifting solution to depressingly real-world problems kicks in, Arjun’s moral compass starts behaving like Jack Sparrow’s apparatus from the Pirates of the Caribbean movies – it points most to what he wants, rather than what the law permits. Like Arjun, Singh and co-writer Anushka Rajan dredge up problems that cannot be tackled through official channels. Yet, the director’s conviction bulldozes through the most indulgent and ragged moments. A flashback to a holiday taken by Parabjeet and Riya is little more than an excuse to showcase Rumana Molla’s histrionic talents. Parabjeet’s questionable actions, and the movie’s endorsement of them, also indicate that Singh’s resolve to tackle the economic roots of pollution and its relationship with cancer is weakening. Even though the resolution beggars belief, the high-powered cast and the director’s clear-eyed rage against the machine are convincing enough. Sagarika Ghatge and Arshad Warsi in Irada.